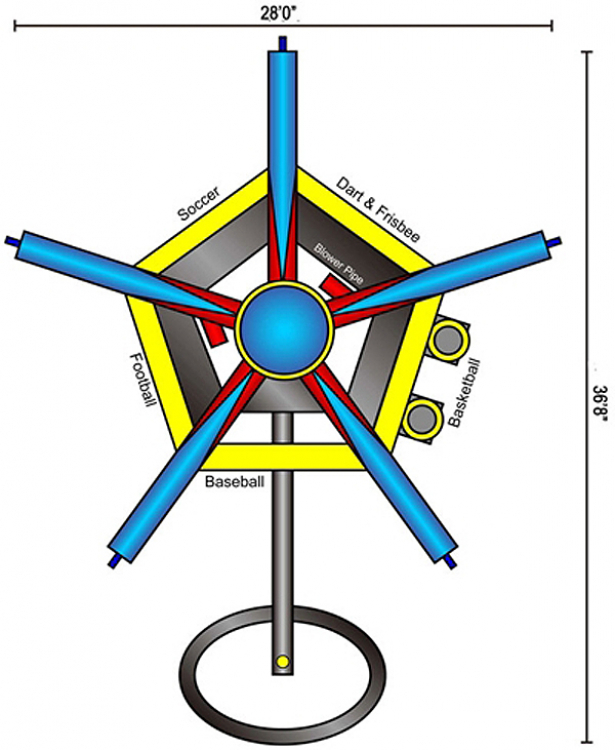 No matter the sport, this 6 in 1 World Sports Game has the game everyone wants to play! 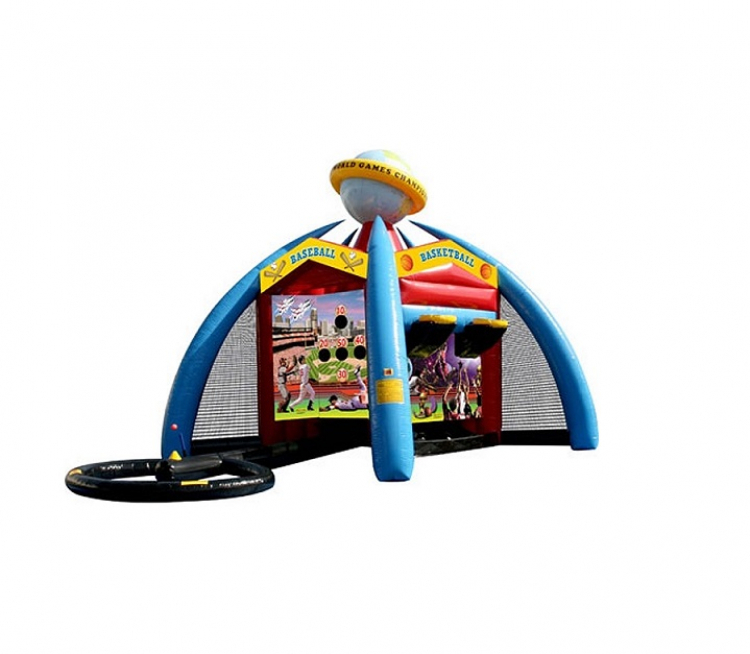 Choose from these popular sports activities: football, soccer, basketball, baseball, and darts/frisbee, all under one inflatable play structure. Encourage team spirit and friendly competition as children and adults play their favourite game simultaneously and facilitate variety as participants have the chance to play each sport.